Students started lining up more than three hours before 2015 Fall Fest’s scheduled start time. The ticket policy has changed for this year's Fall Fest and students are unable to wait in line before 4:30 p.m. the day of the show. UB students will now have to reserve a Fall Fest ticket online due to the Student Association’s new ticket policy. SA announced last week that tickets will only be given to undergraduate students and no tickets will be sold to the general public for the Sept. 10 concert. 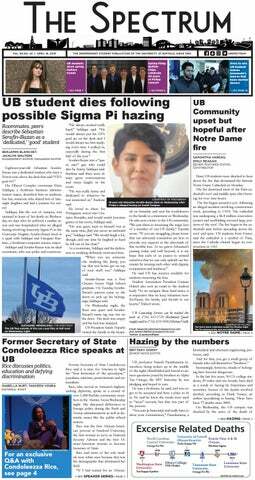 This new ticket policy is being enforced after UB students were left outside of Alumni Arena once Spring Fest 2016 had already reached capacity. Students were upset about the long line outside of the arena and not being granted entry. Tickets will be available for students to reserve online on Tuesday Aug. 30 at 10 a.m. on the SA website. Tickets are on a first come, first serve basis and students are limited to only one. Once a student reserves a ticket, they may pick it up from Alumni Arena on Sept. 6 from 9 a.m. to 5 p.m. or at the SBI ticket office on Sept. 7 or 8. If students do not pick up their tickets on those dates, they will be redistributed to other students. Students are allowed to purchase one $55 ticket for a friend or family member outside of UB. Each ticket will be assigned to a “zone” and students must seat in that specific section. Zones will be marked with color-coded sections and will have easy access to restrooms. No information on the website states weather or not students will be able to reserve tickets based on specific zones. There is no information regarding an indoor versus outdoor venue, but there will be an outdoor venue-seating chart for the arena lot and Baird point “coming soon”. Students will not be allowed to wait in line before 4:30 p.m. on the night of the concert and there will be no entry after the headliner begins around 9:45 p.m. Similar rules still apply to Fall Fest such as no re-entry once a student has left the concert. Items not permitted into the venue are similar to past years such as alcohol, illicit drugs, weapons etc. Anyone that is visibly intoxicated will not be allowed into the concert.